What is the biggest coffee trend right now? Who - Since our launch in 2001 by a dedicated group of coffee trade professionals, CoffeeNetwork.com has become the global coffee industry's premier news and information resource among leading growers, exporters, importers, brokers, traders and roasters. CoffeeNetwork's correspondents and commodities analysts include many of the most well-respected and experienced writers in the industry. Located in coffee producing and consuming nations, these experienced experts provide our subscribers with the up-to-the-minute, in-depth the insight and analysis of the developments that affect the global coffee community as a whole and their businesses in particular. 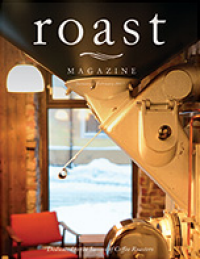 What - As coffee trade professionals, we know that in today's fast-paced world, savvy decision-makers can no longer wait a month to receive their news from print magazines in order to keep on top of the rapidly changing economic, political, and environmental factors that impact their businesses on a minute-by-minute basis. Rather, we make sure that CoffeeNetwork's subscribers can rely on our online news service around-the-clock for real-time quotes, industry updates and global market data as well as our proprietary analysis and valuable insight. Starting at only US$250, your banner advertisement on CoffeeNetwork's website is the most cost-effective way to attract potential buyers to your website and build brand recognition. Where - Our news service reaches key coffee industry leaders throughout the US and Canada, Latin America, Europe and Asia/Pacific. When - Our subscribers can access this vital information, 24-hours a day, 7 days a week from anywhere in the world with Internet access from their computers, PDA's and BlackBerries. CoffeeNetwork is available to them in their offices and on the go. So now is the ideal time to place your banner ad on our website. Why - As longtime members of global the coffee trade, our staff recognizes that your products and services are critical to the efficient and effective operations of our subscribers' businesses. As your advertising partner, CoffeeNetwork can help you capture the attention of the industry's key decision-makers, drive traffic to your website and generate sales. Payment - CoffeeNetwork accepts Visa, MasterCard, AMEX, checks and wire transfers. Kindly include your payment with your artwork. Thank you.